As foreshadowed in my summer report, autumn was show season starting with Newport in September and ending with the Fort Lauderdale show around Halloween. It started slowly which was not surprising. Clients go into research mode during the show season before either purchasing a new yacht or emerging with sticker shock. With the continued soft economy, especially in Europe, most former new build clients are purchasing late model pre-owned yachts. Fall Jordan sales included an Amel 48, Cabo Rico 36, and Freedom 38. New listings included a Brewer 12.8, Ericson 35, and TomCat 9.7. I did another delivery to Cartagena, Colombia, this time aboard a Leopard 46. Currently the Royale Palm Yacht Basin is filling up with winter arrivals. Most of these have come down after summering in New England or Annapolis. 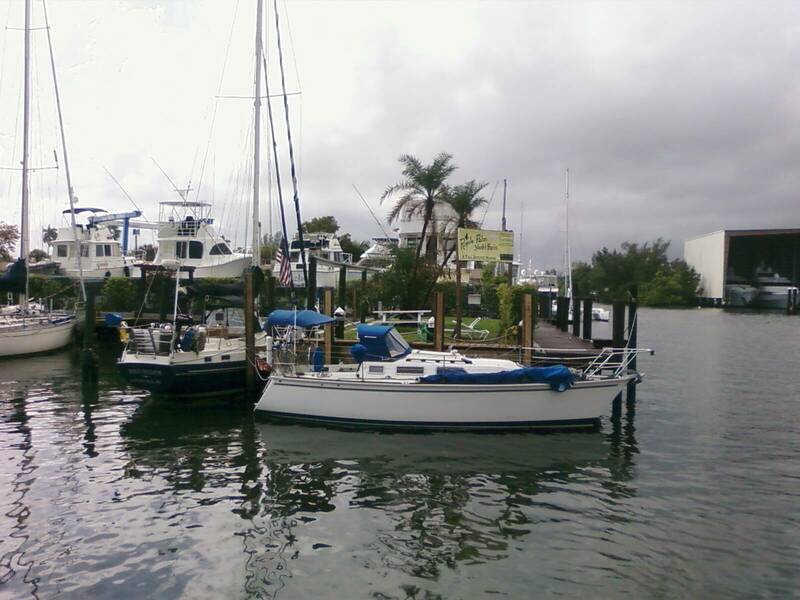 The hurricane insurance restrictions are over, and these yachts want to enjoy the winter season instead of winterising. The sales business transitions south as well with the increased inventory, and the deferment of most northern sales until the weather warms. It is hard to figure how they sell anything up north during this season with yachts on hard and if not unbearable conditions offshore. Cruising is not that fun for most in cold weather. Looking toward the winter and 2012, We have been super busy recently, so hopes are high for continued progress in the slow recovery of the worldwide economy in 2012. The end of the year holidays will slow things down this weekend and through New Year’s day. Then show season returns momentarily for the February Miami Boat Show. We will be there representing Scotia Yachts of Lunenburg, Nova Scotia. So stop waiting and get on with fulfilling your dreams. I hope to see or hear from you sometime this winter. Previous Previous post: Leopard 46 Review: Better Than a Lagoon?